Confused in selecting branches of B.Sc? 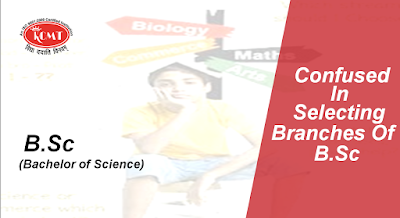 Well if you have clicked this article, I am sure you are a science student, and have decided to pursue Bachelor of Science for higher studies and you are either confused in selecting the branches of it or wish to know more about it. Well, I will try to help you in coming out of this dilemma by discussing about various course options for science students. 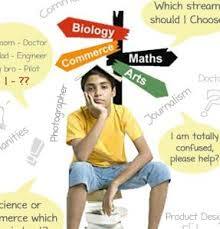 How to decide the suitable course??? Ø ZBC and Biotechnology have same foundation but both are different from each other. ZBC is a traditional science, whereas biotechnology is an innovative technology based and multidisciplinary science. Ø ZBC is a scientific concept about living organisms (plants and animals) while Biotechnology is an industry in which applied biology is utilized in experiments to get the solution to the human problems. Ø ZBC has limited applied options whereas Biotechnology is being used for various specific medical treatment by genetic enginnering technology. Its important to explore what you want to do in future. If interested in doing research then opt for B.Sc. in Biotechnology. It's research oriented multidisciplinary field and has vast opportunities. Biotechnology as a subject has grown rapidly and has a great scope in future too. .This course has combination of fundamental cell and molecular biology and applied science which makes graduates capable to take up careers in plant, animal or microbial Biotechnology. After B.Sc. Biotech, you can do M.Sc Biotech and Ph.D.Qualify CSIR-UGC NET and pursue research. Various Fellowships are there to help you in your research. If Government Job attracts you then you can opt for simple B.Sc in ZBC or PCM. This will make you a graduate eligible for applying to various jobs in Banking sector, Civil Services, teaching, health sector etc. B.Sc in ZBC mainly focuses on the organisms, biological systems and things derived from them.You will get full knowledge exposure related to research and development in plants and animals . If you have passion for learning along with grooming yourself then go for B.Sc Homescience. The course is interdisciplinary in nature. A balance between the scientific approach and practicality is provided. The course will help you to learn how to balance family with society . So On....Many options.. Just follow this Mantra..
Set many short term Goals to achieve your Longterm GOAL ...Evaluate all aspects of each relevant course that can lead there...Analyse your INTEREST...Think if you have the CAPABILITY to excel in that field...All POSITIVE ..No one can stop you from being SUPER SUCCESSFUL. Thanks for the reading this article!! KCMT as leading educational brand offers Bachelor of Science in PCM//ZBC/BioTechnology/HomeSciecne which not only helps you building the sound base of knowwledge as well as provides the career englightening opportunities.